Power Source: 3 Phase,440 V,50 Hz. Cutting Capacity: 200 x 12 mm Alu. & Cu. Bending: 100mm To 200mm X 12mm Thk.max. Punching: 100mm To 200mm X 12mm Thk.max. 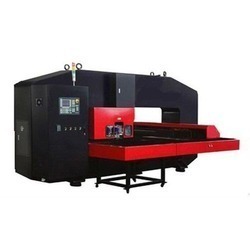 Owing to our rich industry experience and knowledge, we are engaged in offering Corner Notching Machine. 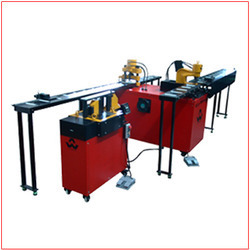 Keeping in sync with the latest market development, we are engaged in providing a high quality range of Hydraulic Busbar Punching Machine.